The Centre for Handicapped Skiers focuses on sports education for children, juniors and adult clients. The Centre organises ski courses for people with medium to severe physical disabilities and their family members/carers. As well as giving the clients and their families much needed exercise it also gives them an invaluable feeling of freedom and inclusion as they ski with and alongside able bodied people. Each client is accompanied by their individual ski instructor and their usual carer. 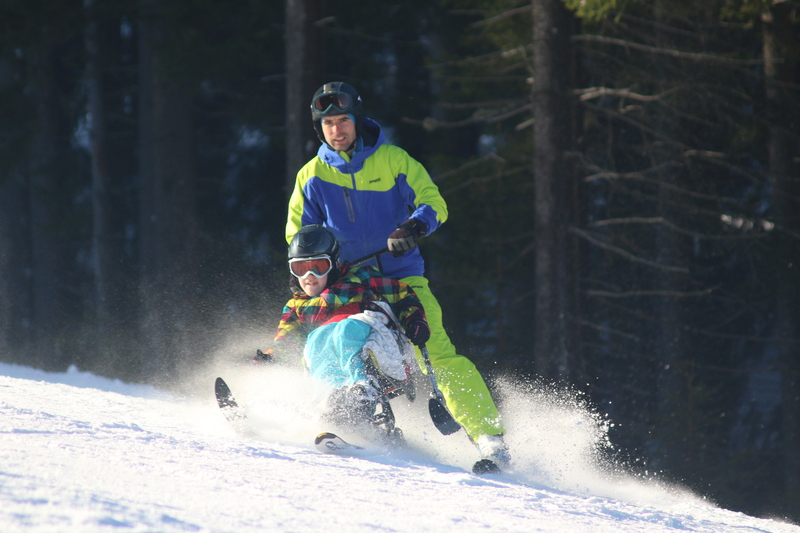 The ski programme is custom made according to the client’s individual ability – “biski” for small children and clients with severe physical disability, and “monoski” for older and more able clients. The Centre has 25 licenced ski instructors and 20 volunteers and serves around 100 clients each year. Funds raised have been used to buy a special biski for clients with severe disability. Charity Gala also contributed significantly towards the purchase of a new minivan that is used to transport clients from their accommodation to the ski slopes in the Krkonose mountains. This year the centre is looking to raise funds to purchase a junior monoski. For more information on The Centre for Handicapped Skiers please visit their website at www.monoski.info.